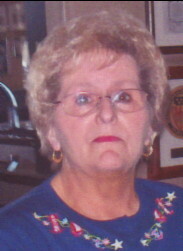 Gladys Murphy, 79, of Carbondale, died Friday at the home of her daughter. She is survived by her husband of 59 years, William T. Murphy. Born in Waymart, she was the daughter of the late Russell and Ester Quinn Haynes. Gladys was a graduate of Ben Franklin School, Carbondale, Class of 1958. She was a stay at home mom for the majority of her life. Her first job when she first began dating her husband was at Newberry’s, Carbondale. As her children got old enough she took a part time job at Washington School, Carbondale, and G & S Fashion, Carbondale. 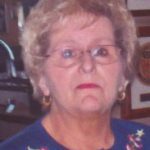 Gladys enjoyed country line dancing and attending summer picnics and carnivals. She was a loving and caring wife, mother and grandmother, who will be missed. She is also survived by two daughters, Lisa Murphy and boyfriend Dave Korty, Browndale, Colleen Murphy and boyfriend John Rizner, Browndale, three grandchildren, Sean, Shaina and Shaymus Murphy, and nieces and nephews. She is preceded in death by a son, William Murphy Jr., and a brother, Russell Haynes Jr. The funeral will be private from the Oliver Shifler and Scotchlas Funeral Home, Inc, 62 N Main St., Carbondale, with services by Reverend Sharon Dietz. Interment will be in St. Thomas Aquinas Cemetery, Archbald. Memorial contributions can be made to St. Jude Children’s Hospital, Memphis, TN.